Wildcat is a streamlined, yet full featured combat overhaul. It makes combat more dangerous and visceral by increasing lethality, adding injuries and context sensitive stagger and making combat AI more responsive and aggressive. It accomplishes this with minimal scripting and no save bloat. - Removed scaling NPC level boost. - Reduced fNPCHealthLevelBonus from 7.50 -> 6.00. - Effects are no longer applied to Tolfdir. - Removed slowed sideways/backwards movement when holding a spell. - Removed reduced rotation speed when casting a spell. Note: automatons, daedra and undead are deliberately immune to impact effects. - Legendary: increased damage dealt from 0.5 -> 0.75. - Damage reduction vs. massive targets no longer includes spell duration. - Increased experience gain of combat skills. A huge update to fix some controversial features (stagger lock, full body stagger, incapacitating injuries) and reach the same level of polish as Smilodon. Note: if you made some customisations using the MCM, many of them have been reset. - Redesigned the Dynamic Combat ability (upon updating, the mod will automatically remove the old ability and give you the new ability). - Stamina costs reduced from 10/15/10 -> 5/10/5 (this is not retroactive, use the MCM or configuration power to change them). - At zero Stamina, actors deal 35% less damage -> are slowed by 15%. - Added Stamina cost when swimming (ported from Smilodon). - Full body stagger is now DISABLED by default and must be enabled using the MCM or configuration power. - Timed blocking now improves block by 15% -> 25%. - Stagger is now tied to injury chance instead of occurring all the time when crossing a Health threshold. - Added toggle to switch from threshold injuries/stagger to rekt-o-meter (burst) injuries/stagger. - Updated default settings: two Health thresholds (30% and 15%) and 30% chance to cause an injury. - Arm injury: changed impact event to always unequip and never drop the weapon; no longer deals damage on attacks, but staggers 25% -> 33% of the time. - Chest injury: changed impact event from draining 50% of current Health -> draining 50% of current Stamina. - Spine injury: changed impact event from paralysis -> draining 50% of current Health, changed lingering effect from knockdown -> stagger. This gives each injury a more distinct identity, makes the impact effect match up with the lingering effect, and fixes some toxic cases (permanent knockdown, item loss) and scaling issues. - Wards protect against trauma (but not against the lingering injury effect). - The duration of injuries is reduced by 2 seconds per level of Restoration. The reason they have not been added yet is that many people do not use injuries and items added to levelled lists can't easily be removed from them. - Updated a few combat styles. - Added x10 critical strike against sitting or sleeping humanoids (ported from Smilodon). - Added reduced damage and spell effectiveness against massive targets (ported from Smilodon). - Modified difficulty settings (ported from Smilodon). - Increased maximum resistance/block from 75% -> 80%. - Increased NPC casting cost from 50% -> 100%. - Reduced Magicka and Stamina regeneration in combat from 100% -> 75% (ported from Smilodon). - Slightly reduced enemy Health scaling with level. - Improved weapon block multiplier from 0.15 -> 0.25. - Increased armor value from 0.10 -> 0.125 (ported from Smilodon). - Reduced the cost of bashes from 30 -> 15 (ported from Smilodon). - Reduced the cost of power bashes from 50 -> 40 (ported from Smilodon). - Modified several other game settings (ported from Smilodon). - Added a configuration power to the SSE version. - Updated load screens to match other changes. - Ability is now applied to the player after a delay. - Using the configuration power resets abilities in case an upgrade broke them. - Reverted Legendary to x4/x4. - Includes the upgrade fix from 5.08SSE. - Legendary difficulty: x4/x4 -> x3/x3. - Injuries, full body stagger and threshold stagger are now disabled by default for new installs. Use the "Wildcat" configuration power to enable them. - Now has a new Player Ability Quest, which should solve issues related to updating an existing save from 5.06. Make sure the old version with the different filename is actually uninstalled so you don't have two copies. Skyrim Legendary Edition version available here. Improved combat AI: modified combat styles and game settings. Faster combat: deal and take more damage. Can be dropped into an existing load order as a complete combat package. Configuration options available in the Wildcat MCM if SkyUI is installed (SkyUI not required to use Wildcat). Most features in Wildcat can be tweaked or disabled using the Wildcat MCM (since SKSE for Skyrim Special Edition is not available on consoles, Wildcat for Special Edition comes with a "Wildcat" configuration power as well. It can remove itself when you are done configuring Wildcat. Using SKSE and the MCM exposes more options). Tinkering is strongly recommended! Combat styles and combat AI related game settings have been tweaked to make opponents much more relentless and decisive. These changes are similar to Combat Evolved and other mods that improve AI, but with a more aggressive bias. Actors that are out of Stamina are considered fatigued, slowing down movement by 15%. Magicka and Stamina regenerate up to 30% faster at high Health and up to 30% slower at low Health. All actors on the battlefield may become wounded in battle, receiving a random injury. Each injury staggers the recipient and has an immediate "trauma" effect representing pain and shock and a lingering effect that lasts until the victim is healed to 100% Health or for 5 minutes. Undead and automatons are immune to trauma effects, but are still affected by the lingering effects. As with most features of Wildcat, this can be disabled. Arm/Front Leg injury - Chance to stagger when attacking. Trauma: unequips weapon. Chest injury - Rapidly drains Stamina. Trauma: drains 50% Stamina. Head injury - Rapidly drains Magicka. Trauma: drains 50% Magicka. Leg/Hind Leg injury - Chance to stagger or trip when running. Trauma: knocked down. Spine injury - Receive double damage and stagger from power attacks and bashes. Trauma: drains 50% Health. Threshold injuries: This is the default injury mode. Actors have a chance to receive an injury when they fall below 30% or 15% Health. Burst injuries: Use the Wildcat MCM to choose this injury mode. Actors have a chance to receive an injury whenever they take a burst of damage equal to 30% of their current Health. This is the more realistic injury mode, but does increase script load slightly for each actor on the battlefield. 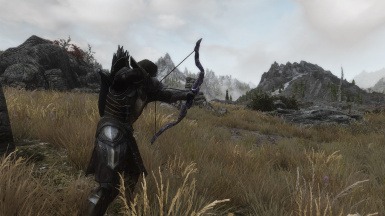 Bow interrupts: Actors hit by an attack or damaging explosion while pulling back a bow get interrupted, throwing off their aim or ruining the shot. Full body stagger: This feature greatly increases the deadliness of combat and is disabled by default, requiring the use of the Wildcat MCM to enable it. When enabled, any incoming stagger will stun the player and interrupt all actions, just like staggering an NPC actor. Speeds up combat by allowing the player to inflict and receive more damage. Combat skills level up faster accordingly. The optional Realistic Damage Plugin increases damage inflicted and received to realistic levels. Damage is fair for both sides and greatly increased, making combat much more deadly. This is more immersive, but perhaps easier to exploit for min-maxed builds that are significantly stronger than the enemies. Damage reduction to massive targets: increased to 3/4. Not satisfied? The Wildcat MCM allows you to choose your own difficulty values, so you can customise the game to your liking (for technical reasons, this is not available through the "Wildcat" configuration power). Blocking an attack within 1 second after raising a shield or weapon blocks 25% more damage and briefly staggers a melee attacker. Changes to game settings to make combat feel more realistic. These include many small and subtle tweaks. See the Readme for a full list. Auto aim on bows and crossbows is greatly reduced. Stamina regeneration in combat increased from 35% -> 75%. Stamina regeneration delay after running out now lasts up to 3 -> 5 seconds. Bash cost reduced from 40 -> 15 points of Stamina. Power bash cost reduced from 50 -> 40 points of Stamina. Cap on blocking/resistances reduced from 85% -> 80%. Armor gives 0.12% -> 0.125% damage reduction. Shield block changed from 45% + 0.2/shield armor -> 50% +0.075/shield armor. Weapon block changed from 30% + 0.2/attacker weapon damage -> 40% +0.25/attacker weapon damage. Block effectiveness against power attacks reduced from 65% -> 50%. Dual casting a spell now results in x2.5 effectiveness for x3.0 cost. Magicka regeneration in combat increased from 35% -> 75%. Actors move slower sideways and backwards while wielding a bow or casting a spell. 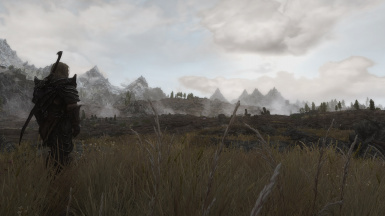 See here for a list of (in)compatible mods. NPCs seem to be much stronger after I reload a save: There is a bug in Skyrim that causes NPCs to gain their perks twice when you reload a save, making them overwhelmingly strong. Whenever you reload a save or die, make sure to reload it twice and do not use quick reload. This is a bug that affects the vanilla game and all combat mods and game overhauls. 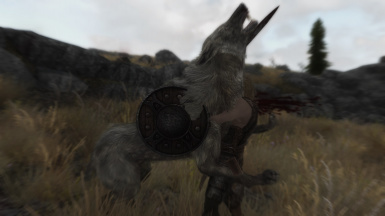 I die a cinematic death (killmove) despite having high Health: There is a bug in Skyrim that causes killmoves to ignore armor, making them much stronger than they would normally be. Use a mod to disable or nerf killmoves against the player, such as Violens. 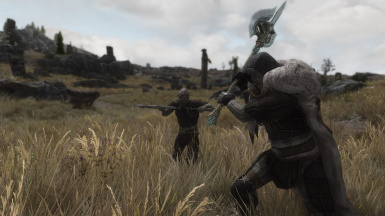 Fistfights (brawls) immediately end or turn into a real fight: The "Brawl Bug" is a common issue with many gameplay mods and hard to avoid due to the way Skyrim brawls are implemented. Wildcat comes with a copy of the Modern Brawl Bug Fix included to solve this issue. If the issue still occurs, you may have the outdated Brawl Bugs Patch in your load order below Wildcat (either as a standalone mod or included with another mod such as Enhanced Blood Textures). Either remove it or add the Modern Brawl Bug Fix to the end of your load order. I inflict or receive suspiciously much or little damage compared to the advertised difficulty multipliers: You may have another mod loaded below Wildcat that modifies difficulty multipliers, overriding Wildcat. Enable the Wildcat MCM option "Allow Wildcat to manage difficulty" or rearrange your load order so the other mod is loaded above Wildcat. (Unfortunately, due to game limitations, this option is not available in the "Wildcat" configuration power.) Additionally, there may be a bug in Skyrim that causes damage values to be off under unknown conditions. I will update this item when I learn more. I want to disable Stamina costs, stagger and/or injuries: Use the Wildcat MCM to disable these features.